Manually folding paper and documents is a common struggle for schools, offices, and corporate environments. Not only does it take up a large amount of resources that can be applied elsewhere, but rushing to meet deadlines can prove to be difficult when folding projects by hand. 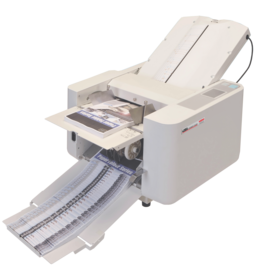 Improve efficiency and save time by automating the paper folding process. By a simple push of a button a paper folder machine can drastically cut the time and effort that would be invested by employees. 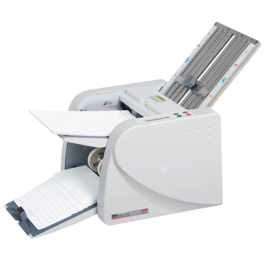 For a limited time, we are offering discounted prices below MSRP on our letter folder machines!